Education: Your ticket to a better future! One of the most famous sayings in Islam is the one above. 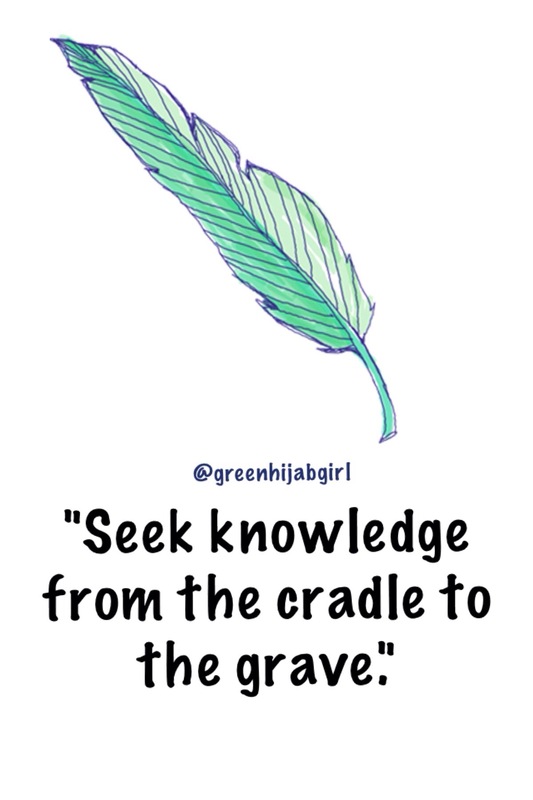 I love this saying, not because I’m a Muslim or because this saying originated in the early days of Islam, but simply due to the fact that it is great advice. I look around me everyday, whether on the way to or from campus or just wherever I go, and all I see are the faces of those who are poverty stricken, those who are homeless or those that just simply have no ambition in life. And I just think to myself “What happened in their life that made them like this? Why are they not out there earning living? Why are they here?” And the answer to that is simple – a lack of education. Yes, I fully understand that South Africa has had it’s hardships and that many of us were previously disadvantaged – that’s why many are still homeless, jobless or poverty stricken. But I’m not only talking about them. I’m also talking about the born-frees, those born post-apartheid. Those that did not directly experience the hardships of Aparthied, what has happened to them? Why do they have no ambition in life, no focus or drive to change their situation? Why is it so easy for some to resort to life of crime and deceit as a means of a way out? Why can’t they attempt to get a job or attempt to make something of themselves? There’s something so simple that we have to learn about education – it can turn your whole life around. Once you have that degree/diploma/certificate of completion in your hand no one can take that away from you. Your educational achievements are with you for life and that’s just how it is. It doesn’t matter what you study, be it B.Comm, Beauty or something in trade, because as long as you study something worthwhile that is your entrance ticket to a better life. I meet so many people, who question me on why I’m not married yet or when I do plan on get married, and I answer, simply saying, that my education comes before any thoughts of marriage. And the reply I always get is: “Just marry a rich guy, and you will be sorted.” Like seriously? Did you just say that? So what happens if my husband loses his job? What happens if he can’t afford to pay the bills one month? What happens if we get divorced? Those are all valid questions and without an education I wouldn’t be able to rectify or help out in any of those situations. I will just be a sitting duck. And that just doesn’t cut it for me. I’m sure you can see how important it is to be educated and how rewarding the process will be. By being educated you gain a sense of independence, you command respect from others because hey, you’ve done something with your life and you are trying to make it in the world and that’s all that matters. The great thing about education is that you are never too old or too financially strained to get one. There are many, many organizations offering bursaries out there, wanting to give you a chance, you have just got to work hard and convince them that you are worth it! Whoever you are and wherever you are, I hope after reading this that you are now hellbent on getting an education – it will be the best decision you ever make, I promise! There exists no greater feeling than that of buying a new pair of shoes!